Nobody can see the future, but everybody can prepare for it. Homeowners can attest to this. They understand through the trials of home ownership that a basic budget won’t account for everything. You can put aside money for bills and taxes, groceries and a college fund, but it’s the nature of owning a home to have unexpected expenses. After all, you don’t live in a bubble, and something is bound to happen. It could manifest as a natural disaster or a broken appliance, but either way, you’ll need to save money to buy a home. Every homeowner should hope for the best and plan for the worst, and their budgeting should reflect this mindset. You never know if you’re an hour, a day or a week away from a potential emergency. In this article, we’ll offer four proactive methods to saving money, so you can counter that potential emergency before it appears. Homeowners with poor insulation in their attics can lose an enormous amount of heat. This problem can prove costly and uncomfortable in the winter when you have to adjust the thermostat to maintain a steady temperature, dealing with an unnecessary chill you could’ve avoided with foresight. More than just keeping you warm, good insulation will also reduce your home energy costs. Check the insulation in your attic to see if it meets the standards set by the Department of Energy, and install additional material if you’re lacking. The money you save is well worth the cost of the improvement. When you have a load of wet laundry to take care of, you don’t necessarily have to use your dryer. 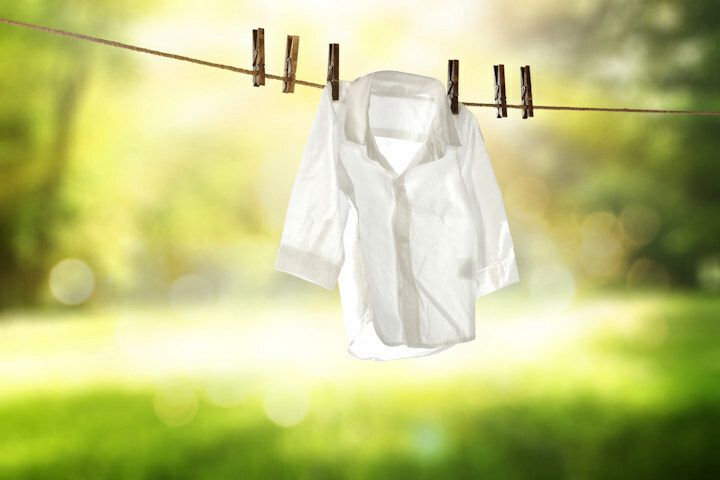 If the weather is sunny and warm, in the right conditions, you can string up your clothing on a clothesline and let nature take its course. It’s a small change, but the savings add up over time. Take a look at the forecast for the week and use it to determine the best schedule for your laundry. If it’s Monday and Tuesday calls for sunny weather with a high of 80 degrees, do your laundry on Tuesday and hang it out to dry. This tip is mostly applicable to the warmer months, however. A homeowner will sometimes neglect routine maintenance, especially if there aren’t any immediate problems. But a small flaw they overlook can grow into a serious issue, and many parts of the home need eventual replacement regardless of upkeep. That’s why you should set aside money in a replacement fund. If you’ve owned your home for an extended period or purchased an older property, you’ll want to know how long your roof will last. Different factors determine its longevity, including material and weather conditions, so do your research on the details. The money you’ve saved will no doubt come in handy. You have no shortage of maintenance fees as a homeowner, from spackling holes to replacing furnace filters. If you write down each and every individual responsibility you have to take care of, it can make the process of preparing and attending to these problems far easier and less expensive. A maintenance checklist will allow you to procure your supplies all at once, saving you on gas expenses and extra trips to the store. Just compartmentalize what you need to accomplish, decide the most efficient way to go about your work, and see how it fits within the context of your schedule. You never know when a disaster will strike, but you can improve your chances of managing one if you begin your preparations today. While there’s no way to predict the future, and you can’t account for every possible expense, you can still make the best of what you have with the tools at your disposal.